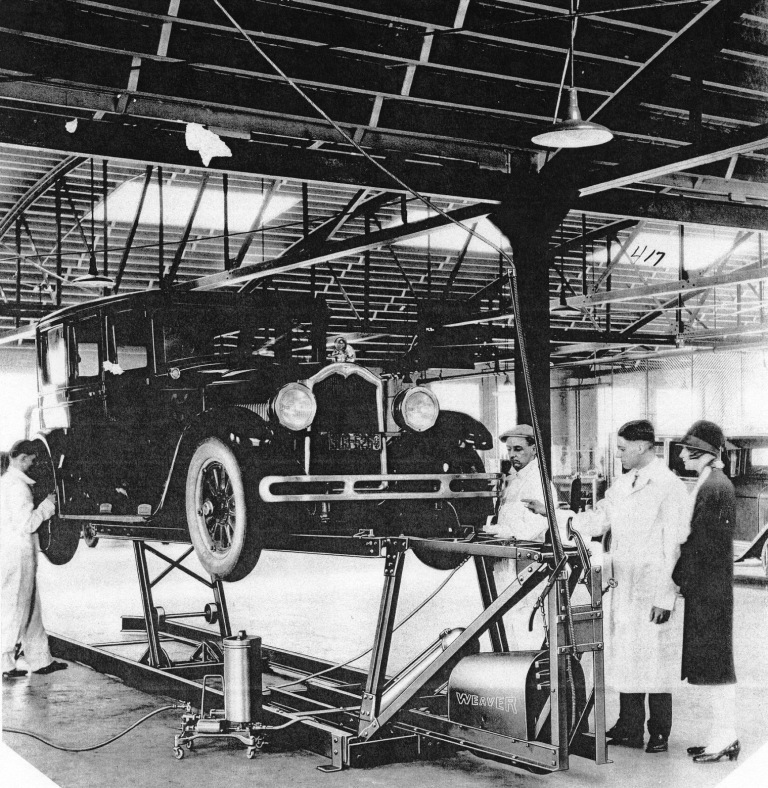 Weaver Manufacturing, founded in Springfield by brothers Gailard and Ira Weaver, was for a time the nation’s largest manufacturer of automobile garage equipment, such as jacks, safety test equipment, hydraulic presses and other items. 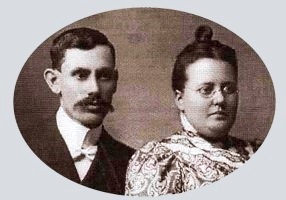 Ira “I.A.” Weaver (1871-1965), left, with his first wife, Edna, was the creative genius of the brothers. He received more than 100 patents for garage equipment and, according to a company history, was known as “the Edison of the automotive industry.” Weaver came to Springfield as chief designer for the Sattley Manufacturing Co., which made farm equipment. On his own time, Weaver developed a chuck for high-speed drills, and he and his brother, Gaillard, opened a shop to manufacture the chucks. Weaver Manufacturing, which was incorporated in 1910, eventually built a 130,000-square-foot factory complex that stretched several blocks along Ninth Street south of Ash Street. About 400 people worked for the company in the 1930s. Over his career, I.A. Weaver obtained more than 100 patents for garage equipment. Gailard “G.E.” Weaver (1883-1942), joined his brother in Springfield after studying at the University of Illinois. As Weaver Manufacturing matured, G.E. Weaver concentrated on promoting automobile safety inspections and on governmental lobbying. Partly because of his contacts, Weaver Manufacturing was the first Springfield company to do national defense work, including a 1940 contract to produce lifts capable of hoisting 2,000-pound bombs. 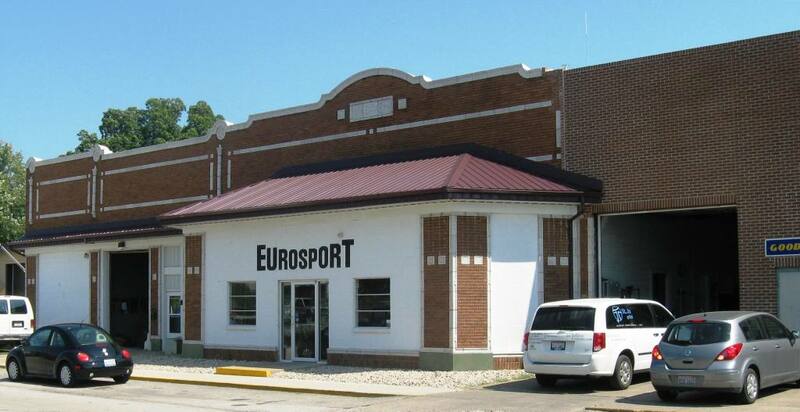 The Dura Corp. bought Weaver Manufacturing in 1959 and closed the plant, moving operations to Kentucky, in 1973. In 2013, Weaver jacks and test lane equipment were still being produced in Adrian, Mich.
As Elizabeth Rutherford notes in her comment below, the Weaver complex in the 2200 block of South Ninth Street was demolished in 2014. Aside from the Eurosport garage across the street, the main part of what remains is a loading dock. More information: Extensive background information on both I.A. and G.E. 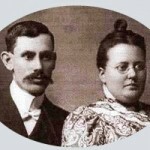 Weaver is available at a genealogy website devoted to the Barlow, Wheeler and Hayes families compiled in 2000 by Edna Skoog. The site includes a list of Sangamon County sources on the Weavers. This entry was posted in Business, Industry, Prominent figures and tagged Automobile industry, Weaver Manufacturing. Bookmark the permalink. The Weaver plant in the 2200 block of South 9th was demolished in 2014 due to it being structurally unsound (bricks had been falling off the facade for a while). 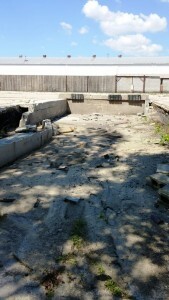 I have some photos of where the plant stood and what remains of a loading dock if you’re interested. Liz: Yeah, I’d like to see them. Can you send them to me (as attachments) at mkienzler@msn.com? Thanks. This article is great. My mom grew up across from weavers and she and I were talking about her child hood and living on 9th street. Thanks for publishing this! Aaron: And thank you for reading. Did your mom sell Avon? South of Weavers was their parking lot. Next to it was our house ( rented from I. A. Weaver ) . Next to our house was Charley Mogle ( a cement finisher ) . On the corner and next to Charley’s was a vacant lot. I was a small child then but still recall many fond memories there. I also remember many families and their names in the area. Our rental house was sold to a Weaver employee and moved north of number 6 firehouse. Charley Mogle was my Great Grandfather. I can remember visiting him there. I worked for Weaver for some years starting as a District Sales Manager and advancing to Product Manager and Regional Sales Manager. I Traveled through the U.S and met many of the leaders of the Auto Industry and consulted with them on upgrades and modifications to service equipment and particularly lifting service procedures and safety issues. Weaver was a fine organization in its time and I. A. Weaver probably contributed more than any other person to the Automotive Service Industry. For me it was a great experience. Mr. Clarke: Thanks for the comment, and thanks for reading. My wife, edna skoog was I.. A. Weaver ‘s granddaughter. Her obit is under her name. WEAVERS WAS MY FIRST JOB OUT OF HIGH SCHOOL IN 1959.I WORKED THERE UNTIL IT WAS BOUGHT OUT BY WALTER KIDDE COMPANY, WHICH HATED UNIONS SO THEY MOVED TO A NON-UNION AREA AT THAT TIME,TO PARIS KENTUCKY.IT ONLY LASTED FIVE YEARS THEN FOLDED. WEAVERS WAS A GREAT PLACE TO WORK,THEY WOULD ALWAYS HAVE A SUMMER PICNIC AND A GREAT CHRISTMAS PARTY. THAT ALL CHANGED WHEN THE BIG COMPANY BOUGHT WEAVERS. AROUND THREE HUNDRED MEN HAD TO FIND JOBS. ANOTHER THING VERY FEW PEOPLE KNOW ABOUT IS THAT THOSE WORKERS WHO HAD BEEN AT WEAVERS FOR 30 YEARS OR MORE AND WERE 65 YEARS OF AGE RECEIVED A SMALL MONTHLY PENSION AND THE ONES WHO HAD NOT REACHED 65 AND BEEN THERE 30 YEARS WHERE TO RECEIVE A MONTHLY PENSION WHEN THEY REACHED 65. ALL THEY EVER GOT WAS A VERY SMALL ONE TIME PAYMENT WHICH WASN’T MUCH AND THEY NEVER EVER GOT THEIR MONTHLY PENSION. THIS WAS THE UNITED STEEL WORKERS UNION’S FAULT, WHO AFTER WEAVER FOLDED COULD HAVE CARED LESS ABOUT THE MEN THEY WERE SUPPOSED TO HAVE REPRESENTED AT THAT TIME OF CLOSURE. My dad worked at Fiat-Allis for 15 years. The plan was to work his 30 and retire. He started in 1970 and worked until the plant closed in 1985. He gets less than $200 month, and he had to fight for almost two years to get that. The old union guys that had been there ages were the ones that screwed everyone because they were not willing to budge on some things. ADDED COMMENT. DURA CORP, WHO FIRST BOUGHT WEAVERS, SOLD TO KIDDE CORP LATER ON AND THEY WERE THE ONES WHO MOVED TO KENTUCKY. My father was one of the Weaver employees who was not 65 years of age but had been employed over 30 years. He did not receive anything. We have an original policy for $1000 that was to be given to original 100 employees. My family has tried since his death in 2003 to track this down but to no avail. This is so unfair. Worked there my senior year in high school, at night, 1971 – 1972. I made good money at the time as we were working 5 then hour days during the week and 8 hours on Saturday. Good bunch of people working their. I quit when I found out they were closing.